Heavenly "H" Gardens and a "Must Have" for your Christmas Wish List! Nearly half way through the alphabet and we've reached the heavenly "H" gardens, many of which are also members of the Historic Houses Association. I've written about the HHA before, but draw your attention to it again because it represents one of the best-value garden visit packages you can buy in Britain! For just £38 (single) or £62 (double) for a year's membership, you get free entry to some of the best gardens in Britain including all the UK four featured here today. Combined entrance fees to these UK gardens would exceed your annual membership of the HHA for a year, so why not put it on your Christmas Wish List? So what about all the heavenly "H" gardens I've seen this year? I started out at Hakone Gardens (top) when I visited California in February - a fine example of a traditional Japanese garden just outside the Bay area in Saratoga - and a real show stopper as it comes into bloom early in the year when most other gardens are sleeping. It was a blaze of blossom when we visited, but what I really noticed was the absolute peace and serenity we experienced there. 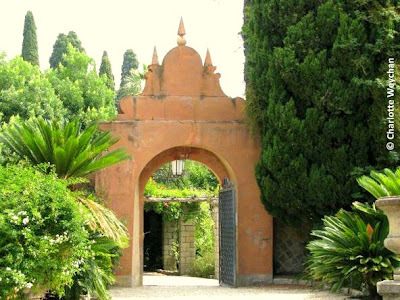 Villa Hanbury in Italy (above and right) - the glorious 45-acre botanical garden that was home to Thomas Hanbury - the very same man who donated the English gardens at Wisley to the Royal Horticultural Society. The whole garden is filled with astounding and unusual plants and I wish I could have spent longer there, but for a full review (I didn't have many readers when I wrote this! ), click on the link and you can see for yourself. I'm definitely planning to return here in 2011 because I missed so much on my first visit and there are so many other wonderful gardens in the area. Returning to the UK, Heale House Garden (above) has to be one of my favourites. Designed by Harold Peto - of Iford Manor and Buscot Park fame - in 1910, this is a fine Arts and Crafts style garden, surrounding a 17th century house and overlooking a tributary of the River Avon in Wiltshire. It's the perfect garden for a small country house and was mentioned by Gertrude Jekyll in her book of the same name. Starting with a flurry of snowdrops in February, the garden at Heale moves on to offer one of the finest daffodil displays in the area and then bursts into summer with a dazzling display of foliage and flowers. Hestercombe, partially designed by Gertrude Jekyll and one of the most splendid gardens in Britain is a unique garden that thrives throughout the year. 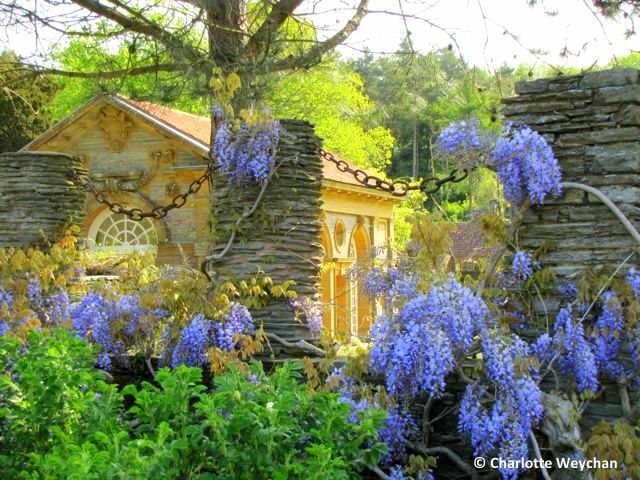 Glorious in May when the wisteria is out, but interesting at any time of year, this is one to put on your Wish List. I have to confess that I've never yet done a full review, but promise to do so during this wintery weather, so that readers can see the gardens in their full glory and dream about warmer temperatures and spring garden visits. Hever Castle is one of the real five-star garden heros in Britain and worthy of a visit at any time of the year, even winter. Former home of Anne Boleyn, one of Henry VIII's wives and more recently the Astor family, who were responsible for the landscaping of the gardens as we see them today, you've got English history at its best here with the magnificent moated castle and a series of garden rooms in the Italianate garden (above), which are constantly replanted during the season. But you've also got wide-open spaces, a water maze for the children and plants in bloom throughout the year. 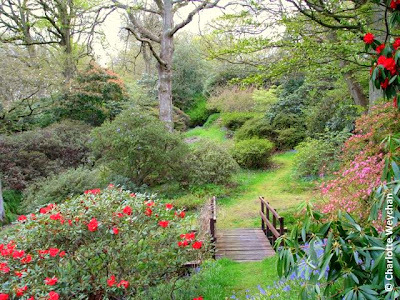 And for a really glorious spring garden, head for High Beeches in Sussex. This is a rolling landscape of spring colour when the azaleas, magnolias and rhododendrons start to bloom. 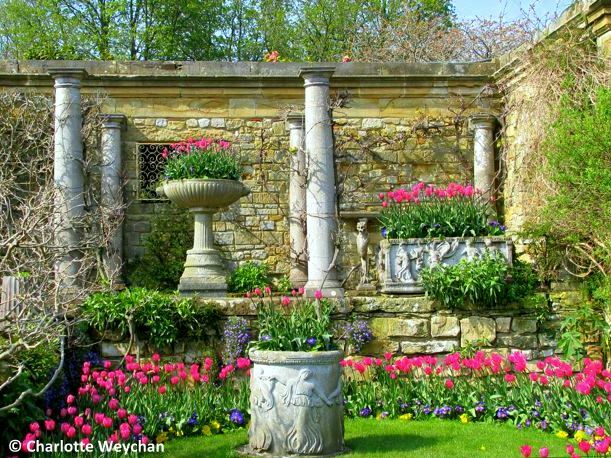 It's located in a wonderful part of Sussex and is close to other magnificent gardens including Nymans. It opens in March, so one to put on your early visit list for 2011! 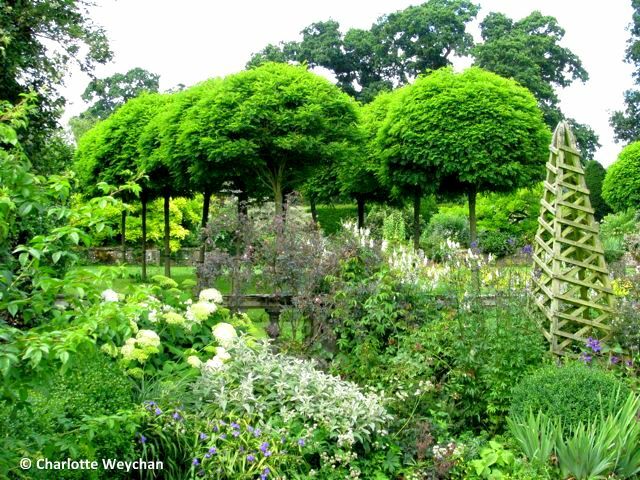 Lovely gardens and beautiful pictures! Hopefully I will make it to Villa Hanbury one day. I am really enjoying this series of blogs. They are great! Looking forward to the rest of the alphabet. What fun! 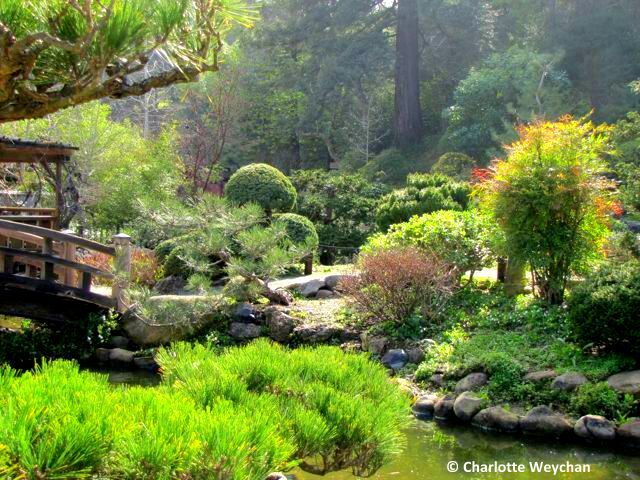 Love that photo of Hakone Garden -- actually, it's pretty much right between my garden and the Country Mouse garden -- maybe next time you're in our area you can visit? Will certainly visit Town and Country Mouse when next in California - can we all go and visit gardens together?? And thank you Lone for the listing! So very nice to see these beautiful gardens when it's cold, rainy and dark outside. Yes, please do share more for us winter folk! 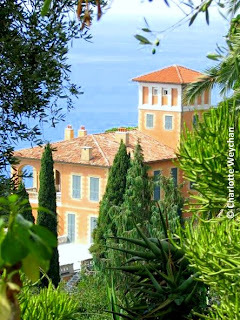 I did check out your previous post on Villa Hadbury. What a gorgeous villa. 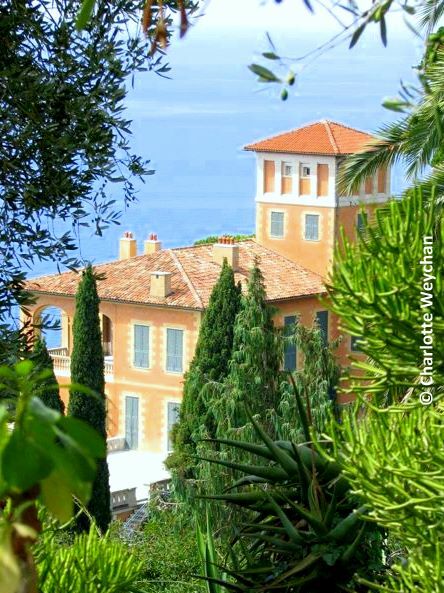 The view of the water is stunning and the gardens are to die for. This one is certainly worth a second, third and fourth visit. My favorite might be Heale House. I do like Arts and Crafts Architecture, so a garden of the style would be wonderful to see. The home would be interesting too from the 17th century. Beautiful gardens. So warm and sunny! Hello Charlotte, so glad you mentioned Heale House just down the road from us with its good collection of musk roses and apple arches if i remember well..so much to go on our wish lists!